News > Underground News > Underground Avengers “Anomaly 88” Hits the Billboard Charts! 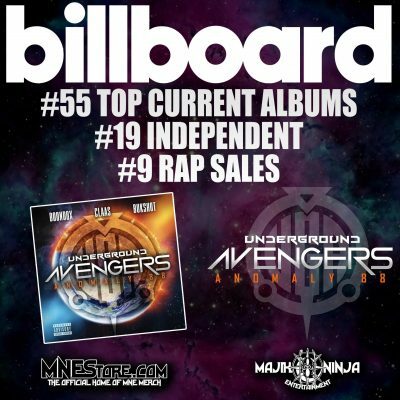 Underground Avengers “Anomaly 88” Hits the Billboard Charts! For being relatively quiet for over 6 years, the UGA’s return to music made quite the impact! If you haven’t heard it yet, find Anomaly 88on all streaming and digital outlets, and at MNEStore.com!